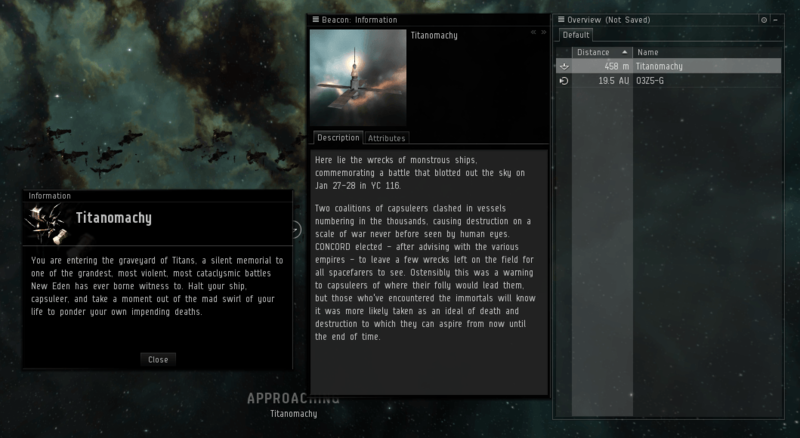 Eve Online is known for its dedicated player base and we have seen over the years stories of corporate espionage, large-scale theft, and even assassinations that started wars. Yesterday however was the king of all battles, marking the first anniversary of the Battle of Asakai. The battle marked with over 70 Titan ships (largest ship in the game) destroyed, along with thousands of supporting ships racked up an estimated loss of over $300,000 in damages. This value is found in the game allowing players to buy subscription time tokens called PLEX with real world currency and then sell the PLEX for in-game currency. Using this metric, Titans are valued around $5,000 each. With over 70 $5,000 ships lost in the battle, and the addition of thousands of supporting ships lost, total damages are look at a cost of at least $300,000 worth of ships. For those out there that think video games are just toys for children, think again. For more information the battle, be sure to check out the full battle report. “Missed bill payments are certainly not new to the human experience nor are they to EVE Online. Human error has caused many a system to lapse. Sometimes it merely means that another Territorial Control Unit (a flag of sorts) has to be anchored in space to regain control of the system. Sometimes it means that an entire region is lost and an Alliance is disbanded. A monument to battle has been erected in memory of the mass destruction. This is insanity, but love it!